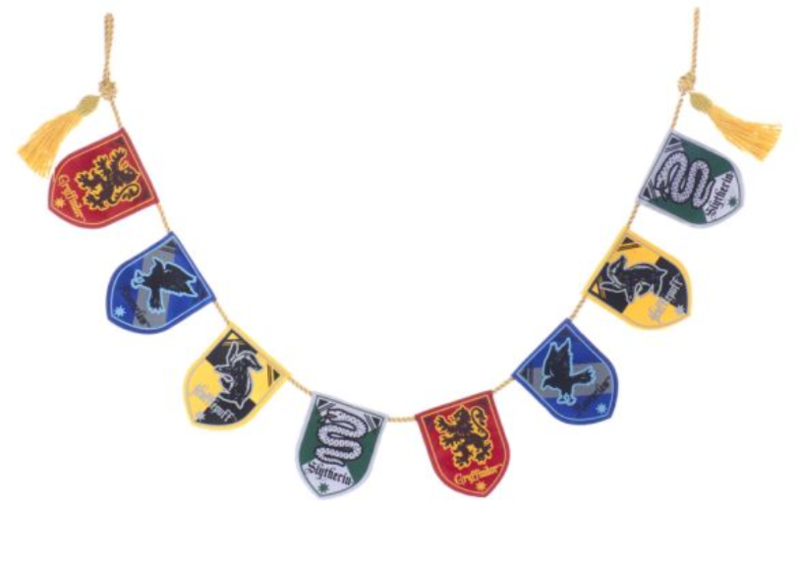 Feed your Harry Potter™ obsession with Kurt Adler's house shield banner garland. The Shields of Gryffindor, Hufflepuff, Slytherin and Ravenclaw are represented in this garland. 2001 Harry Potter - Hogwarts School Crests - Very hard to find!